Have You Flushed Your Water Heater Lately? This boring and often overlooked chore should be done at least once a year to remove sediment that accumulates on the bottom of the tank. That’s especially true if you live in a hard-water area. The task is easy to blow off because it’s out of sight, but skipping it is costing you a lot. Sediment buildup reduces the heating efficiency of your water heater. One sign of excessive sediment buildup is a popping or rumbling sound coming from your water heater. That’s the sound of steam bubbles percolating up through the much. 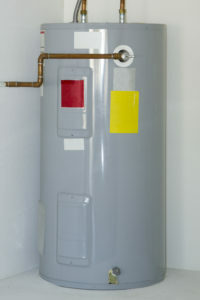 On a gas water heater, the sediment creates hot spots that can damage the tank and cause premature failure. On an electric water heater, sediment buildup can cause the lower heating element to fail. So flushing your water heater offers a payback in lower energy bills and extended water heater life.